Indicated to promote filler and adhesion on metal surfaces, Plastic Adhesive, Polyester Paste, Quick Mass and Wash Primer Maxi Rubber. Indicated for the application before finishes with light color, because the color of the primer facilitates the coverage. • Wash Primers (Maxi Rubber). 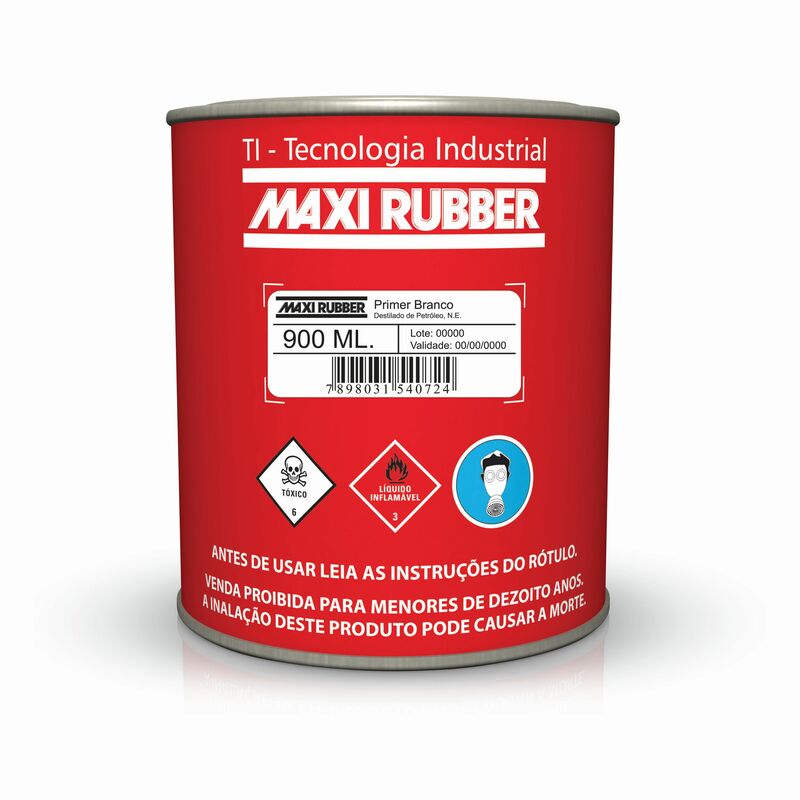 • Maxi Rubber Rapid Compound (Traditional, Ultra, Premium and TI Line). • Old paintings duly prepared. • For ferrous and non-ferrous metals, prepare the surface and apply Wash Primer Maxi Rubber for perfect adhesion and higher corrosion protection. • If necessary, correct primer imperfections with quick mass and reapply the primer over the area. • Always use the thinner indicated for dilution. • Perform sanding only after the recommended drying time to avoid mapping. Alkyd resins, nitrocellulose, pigments, fillers, solvents and additives.